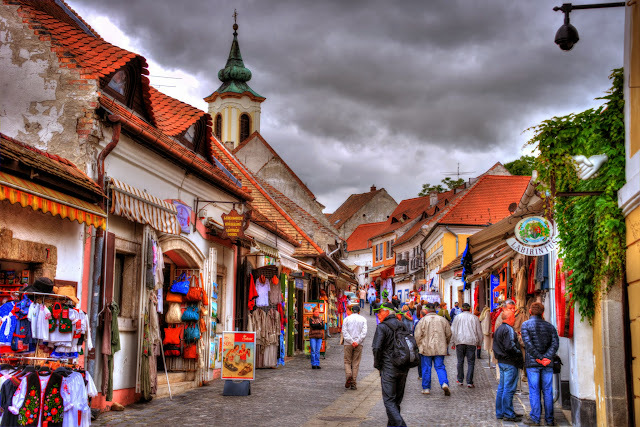 Szentendre is a small quaint town just north of Budapest known for shopping and historic buildings. Since my grandparents came to visit Kristin and I, and my grandmother loves to shop, we decided to just go straight in to the belly of the beast and go to this tourist shopping mecca on our first full day in Hungary. Ice cream is the one common thing everywhere in the world. That and Coca Cola.